This resource kit is designed for association executives who are interested in learning, practicing and implementing a WE at their association. These concepts can be immediately implemented in every facet of the association including workforce, membership, and leadership. When an association values differences and creates a welcoming environment – one that is comfortable, inclusive, and empowering – it opens the door for innovation, increased participation and an elevated sense of community and belonging for all. Forbes: Is Neurodiversity the right path? Russell Reynolds Associates: Who Sits at the Boardroom Table? 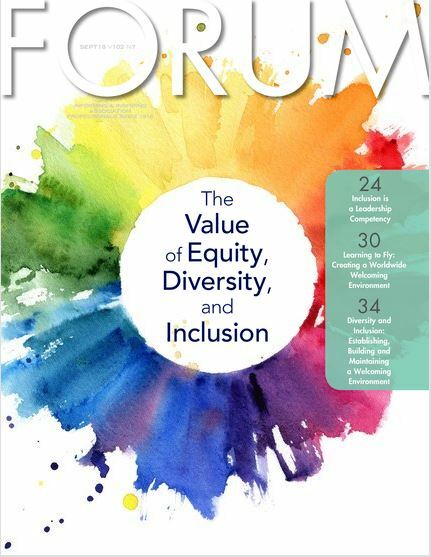 One of Association Forum's Core Values is to be a Welcoming Environment®: We are a welcoming environment that actively seeks to enhance the larger community by recognizing the whole is greater than the sum of its parts. We will make everyone who interacts with us feel welcomed, represented, engaged, inspired and empowered. The environment we create communicates our beliefs about the people we serve. 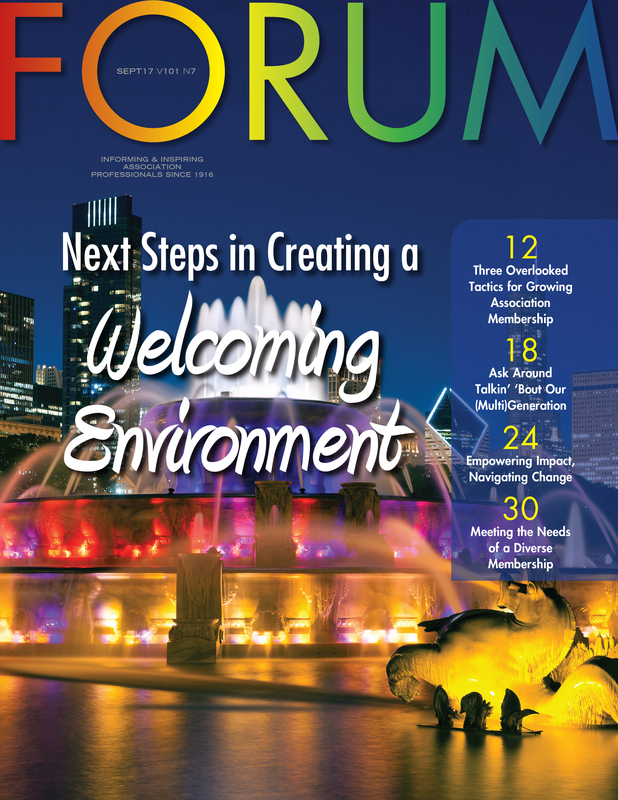 Association Forum has made a commitment to building a Welcoming Environment® (WE) in our community and to equipping members with the tools that they need to build a WE at their association. 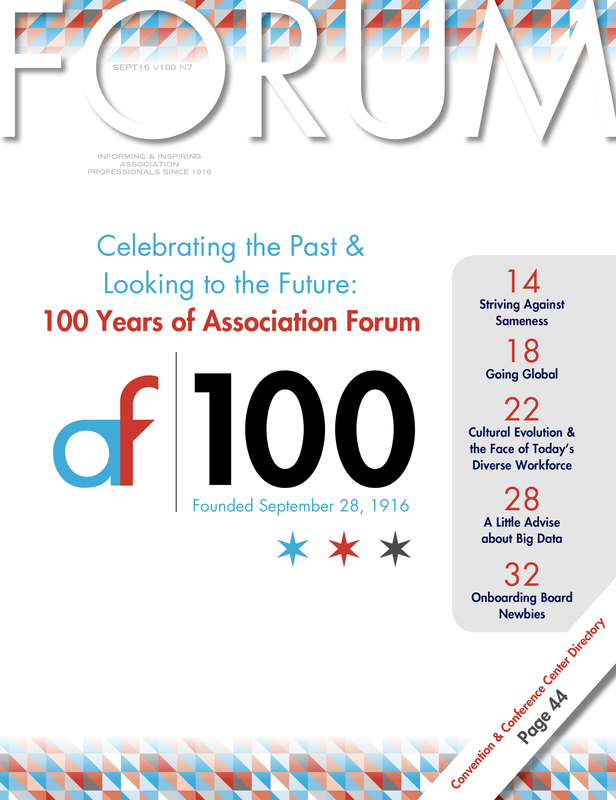 Association Forum’s value and wisdom draws upon and reflects the population we serve, and that which our members serve. Welcoming Environment® is defined as the creation of a sense of belonging and connectedness that engages individuals in an authentic manner in which uniqueness is valued, respected and supported through opportunities and interaction. A Welcoming Environment® drives deeper engagement and increased participation with the Association and will ultimately increase revenue and build sustainable relationships.